Schweppes Bitter Lemon is a carbonated beverage that was invented in 1957 and was available in the United States for a while, but poor sales forced Schweppes to withdraw the product from US store shelves. Fanatics, however, have kept the demand up for Schweppes Bitter Lemon, and so you can now find the import at websites like amazon.com and britishdelights.com. Some say that a proper Pimm’s cup is not made with ginger ale, but with this stuff. I was curious, so I bought a few bottles and started out with a simple vodka + Schweppes Bitter Lemon: refreshing, and a wonderful twist on the basic vodka-and-tonic. 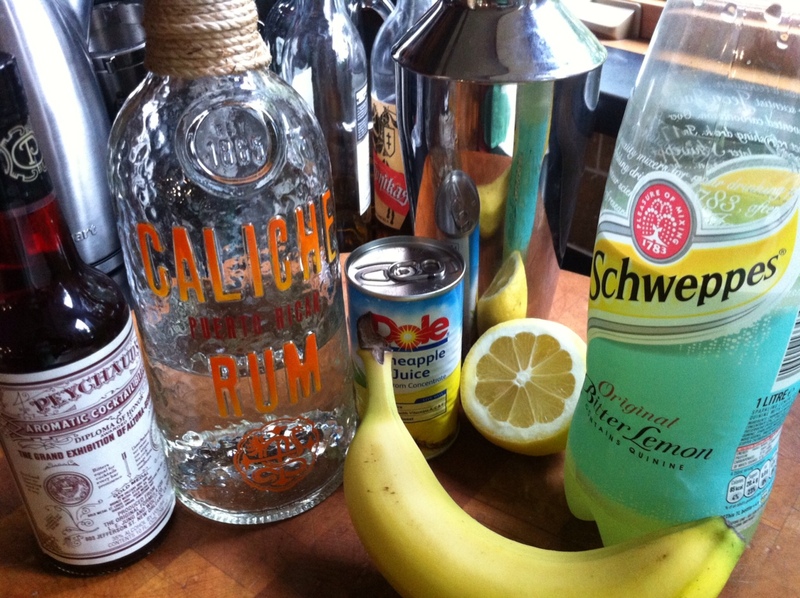 One of my favorite new drinks of the summer is this recipe that I found on line and tweaked the proportions of the ingredients to make my own. For the light rum, I like to use the new Caliche Puerto Rican rum from the Serralles family of rums, makers of Don Q and Captain Morgan. And second to Angostura bitters, Peychaud’s bitters, invented by famous New Orleans apothecary Antoine Peychaud around 1830, should be a staple of any home bar, especially since it is a key ingredient in making the perfect Sazerac cocktail. It works equally well here. 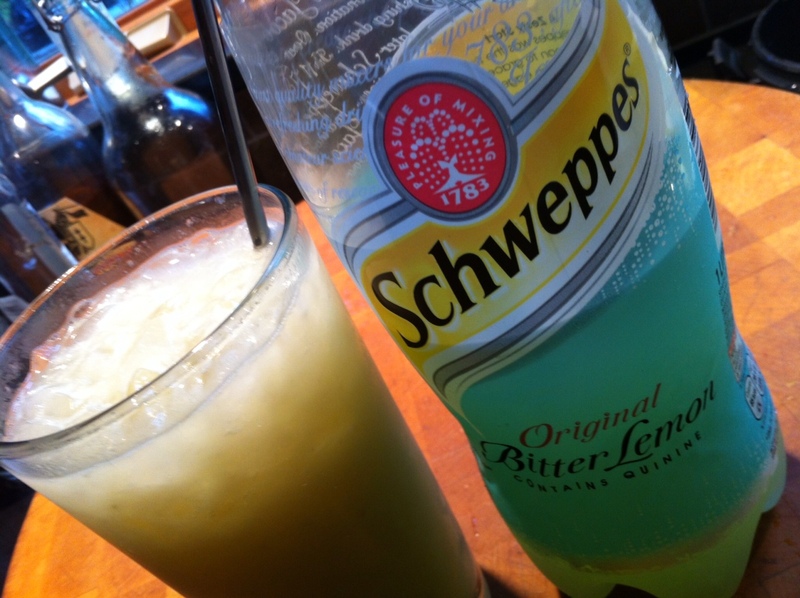 In a blender (no ice) combine all ingredients except Schweppes, and blend until smooth: just a few seconds will do. Pour into a cocktail shaker with ice, shake and strain into a 16 oz glass filled with ice. Top off with Schweppes Bitter lemon.